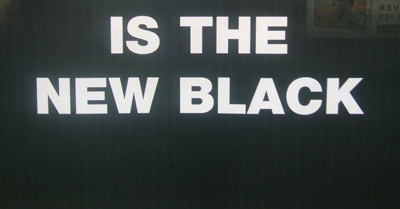 These days anything can be the new black, right? Now random can be the new black. Simply add photos to this Flickr group (single nouns or adjectives work best) and then pop back over here to see the results. Hit refresh to see another one. Made by Ben Terrett. 2.